We provide software to help teach coding. VR Control Box combines a simulated virtual reality on-screen control box with a powerful control language. The control box maybe rotated to be viewed at any angle. Simulates a virtual reality control box. 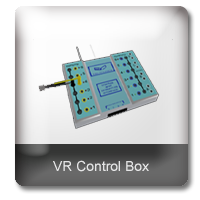 VR Control Box works in a similar way to conventional school control box systems, except the control box is on-screen. Simulates push, light, proximity and tilt switches. Motor, buzzer, bulb and lamps. 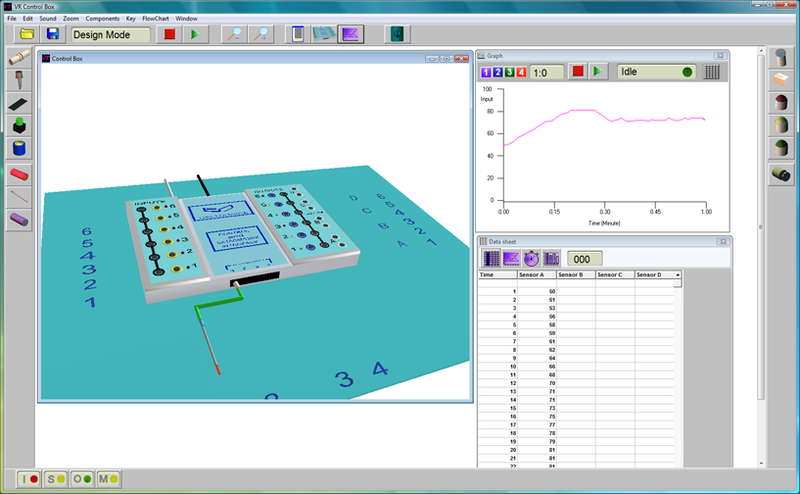 Three types of virtual analogue sensor are included Temperature, Sound and Light Graphing and data collection the readings from sensors are captured into a graph and data sheet. Data can be further analysed. Data can be saved in a CSV file for future use. Functions with an optional external control box. All components maybe connected to the control box. The simple but powerful control language works directly with the on-screen virtual control box. Commands are entered into the program editor and VR Control Box checks for any errors before the program is run. 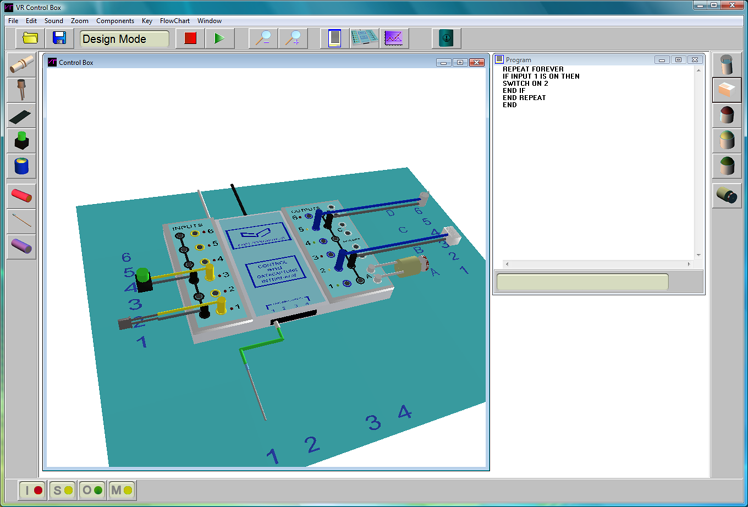 Programs are able to control each output of the virtual control box and respond to mouse clicks from input components, like push switches, l.d.r's etc. Buzzers sound and motor gearwheels turn when switched on. Programs can respond to analogue sensors, eight inputs and control all outputs. VR Control Box includes all the commands you would expect in a powerful modern control language. Decision making using IF...THEN. Loops using REPEAT or WHILE. Wait periods with the WAIT command. Switching on output lines is easy SWITCH ON 1 or SWITCH ON ALL. Up to 255 variables maybe used. Commands can be grouped into procedures. Programs maybe saved and print outs made. A flowchart of the program is generated.